When thinking about Valentines, I can’t forget to include our favorite Valentine’s book, Max’s Valentine by Rosemary Wells. It’s a simple book, in very typical Max and Ruby style. But, year in and year out, this is our most requested Valentine book at our house. So, I knew we had to do a Valentine’s craft based on our favorite book. 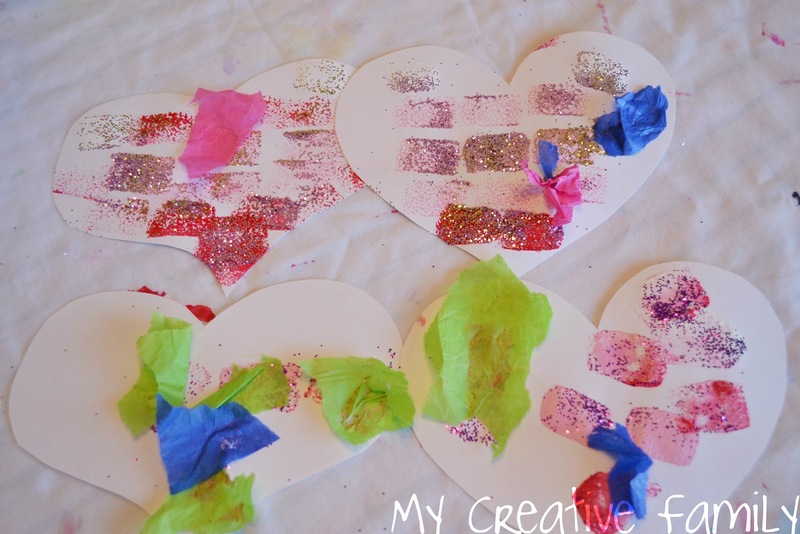 I cut out several hearts from sturdy paper (such as card stock) and got out a few supplies. 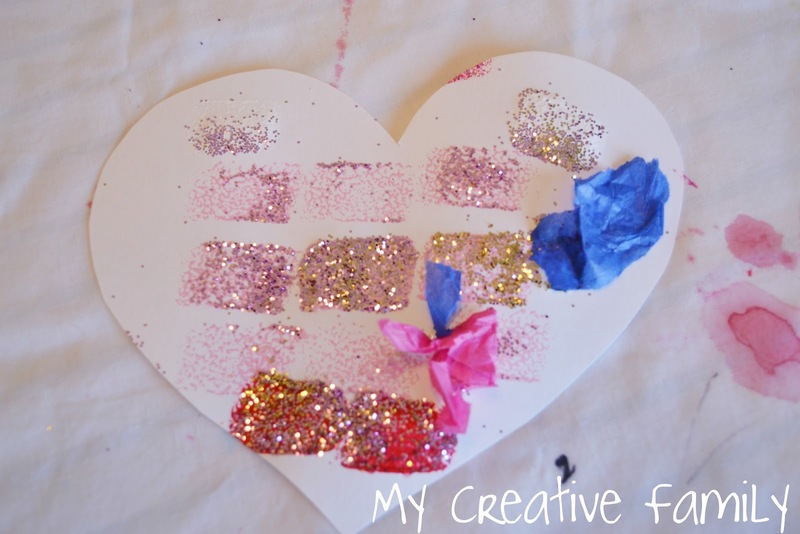 Since Ruby used an awful lot of glitter in this book, we made sure we had quite a bit on hand. We used sponges instead of paintbrushes. I used a clothes pin to help the girls hold on to the sponges. After setting up everything, I stepped back and let the girls do what they wanted. The painting was such an amazingly nice and neat process, but then came the glitter! And boy did we use the glitter! You’ve got to make sure everything is well glittered, right? After attaching a few bits of tissue paper, the girls were done. 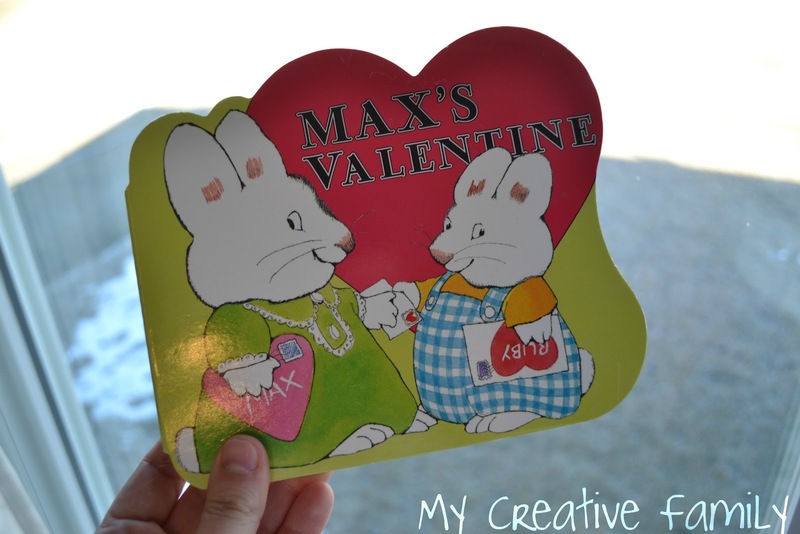 Now we’ve got some nice and sparkly Valentines inspired by Max and Ruby. 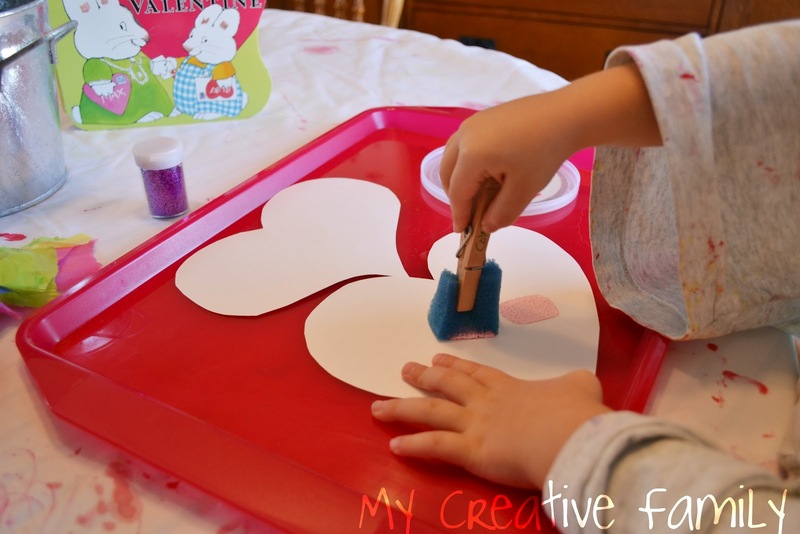 What is your kid’s favorite Valentine’s book? Thank you so much for linking to Read.Explore.Learn. I love Max and Ruby! Your valentine's are beautiful. I pinned this post. These came out so cute I'm sure they will be well loved by the receiver!! I also wanted to invite you to my blog for an art link I will be posting weekly…I'd love for you to join in!!! My daughter made all her high school posters with these sponges…it was a very cool twist. 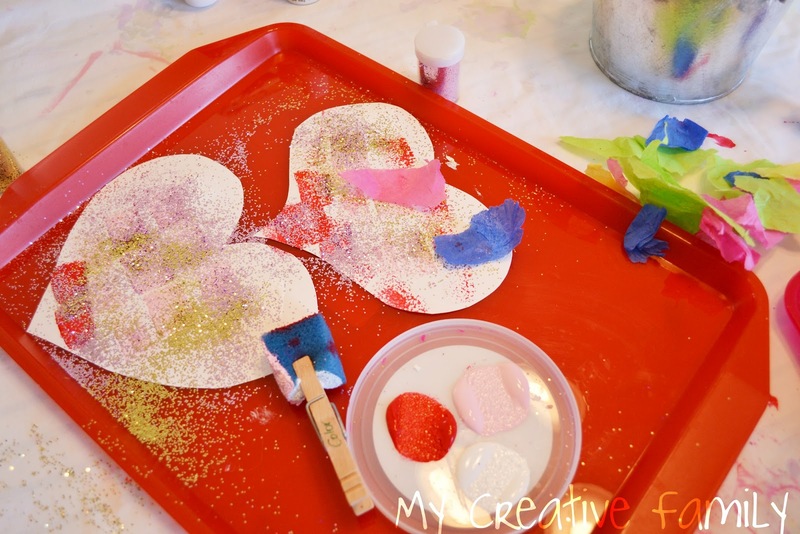 This creativity fostered when they were young really helped in so many ways in high school and college! Keep it up….you'll see the rewards!